We all do it - dream of our favourite creators tackling the equal equivalent in our comic book pull lists - however, last month one of mine came true. 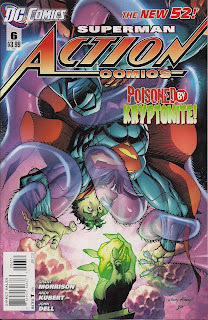 While it was for only a single issue, Action Comics #6 had Grant Morrison write the Legion of Super-Heroes, and the highs of an entire creative run were nestled inside. Joined by JLA inker and partner in crime John Dell, and the unmatched camera angles of penciller Andy Kubert, Grant exploits his speciality here. Every scene is chocka with so many sweet exchanges of dialogue and concepts you can be forgiven for doing 'a Matrix' and babbling with glee as they are downloaded into your brain. In an age where worn-on-and-out plot-lines are as big a threat to the industry as anything else, the Scottish super-scribe rows in the opposite direction, befitting the heroes of the 31st century. Lightning Man crackles with great characterisation once again, as he alongside the Superman of today and fellow Legion founders Saturn Woman and Cosmic Man, travel five years back in time to where Action Comics has been recently based, in order to 'save the life' of the rocket which brought Kal-El here in the first place. Against them stand Erik Drekken, a man who can d/evolve his genetic material at whim, and the schemes of the Anti-Superman Army. 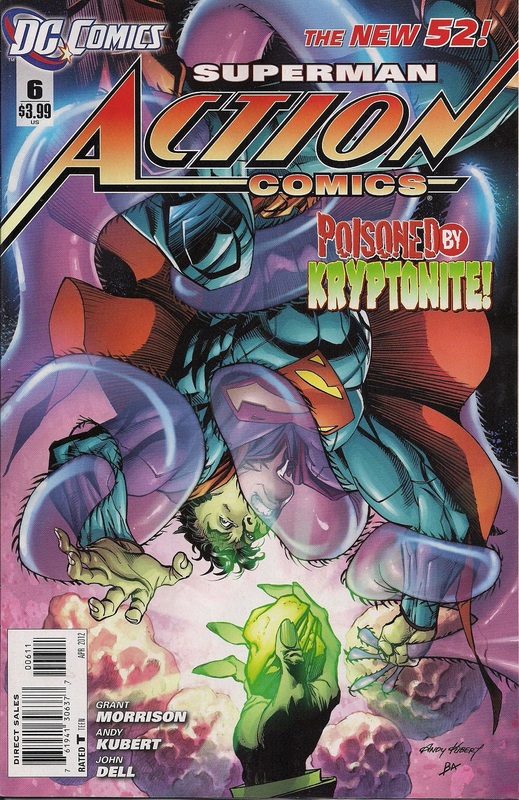 While Kubert draws an evolved Octopus with visible brain better than anyone rightly should be able too, the location of where the sinister army have hidden the spacecraft's most vital component remains a mystery, that is until Clark flashes back to his childhood with his Pa.
As Drekken resurfaces and the heroes stand divided racing towards the climax, Action Comics #6 is sadly all all over before you know it. Even writer Sholly Fisch's amazing back-up, swapping the three legionnaires for a tale of Clark, Lana and Pete can't be read, without your mind wanting to race back and re-read what just blew it's senses mere moments prior. 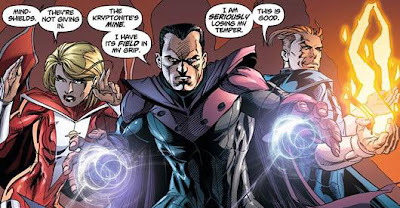 Sure Grant has a pretty full dance card at the best of times and he may never sadly get to do a run on the LOSH, but in a way it's good to know, we'll always have Action Comics #6. Marcelo, it is so cool, I honestly think at this point it is my issue of the year. Great, great stuff, as close to All Star Superman as you can get, without being All Star Superman.